Appreciate the goodness from this Las Vegas baker that makes gourmet all natural preservative free, Non-GMO cookies. If you're a cookie lover, you know it's hard to find fresh cookies made with quality ingredients. Most cookies are loaded with ingredients to help make them extra chewy, super sweet or last a long time on the shelf. Some cookies are even made with wax to hold them together, if you can believe it! Even cookie baking mixes tend to be overloaded with unnatural ingredients. It shouldn't be like that. It's a cookie -- an uncomplicated delicious treat. CurlyTop Baker produces cookies that are much different and better. 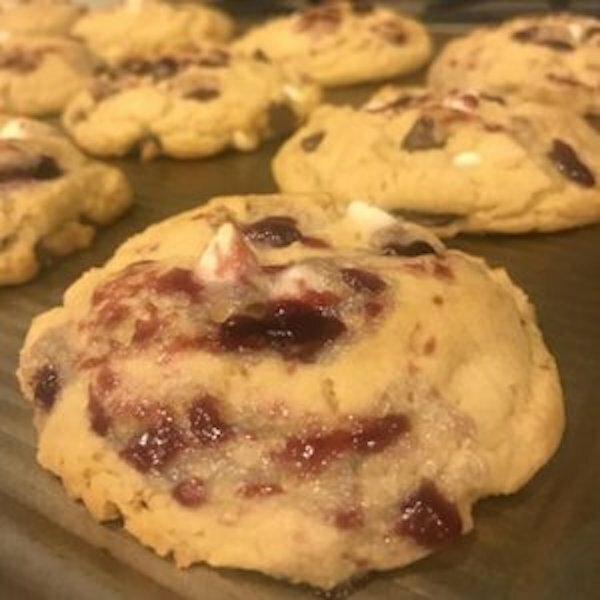 Based in Las Vegas, they make fresh cookies with the kind of quality ingredients that you won't find on the grocery store shelf, at a convenience store, or even at a coffee shop. They make real cookies with fresh ingredients, so fresh that you need to eat them within ten days to enjoy them. 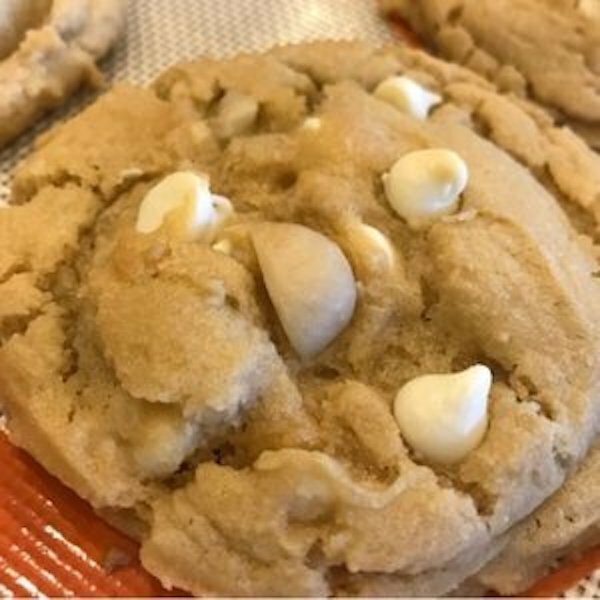 The cookie dough ingredients include real creamy butter, pure vanilla, cage-free eggs, zero-additives or preservatives, and 100% non-GMO ingredients. And if that's not pure enough for you, they also make a vegan chocolate chip cookie as well. CurlyTop Baker got their start in a unique way and on a foundation in goodness. They first prepared cookies in their kitchen to feed the homeless communities in Las Vegas with a purpose-driven mission of social good. Their team visits and distributes cookies to homeless people throughout the city once a week. Their impact on the homeless community has been life-changing, and they've built amazing friendships along the way. They've also partnered with non-profits to distribute their cookies around the world. To the founders and team of CurlyTop Baker, the impact of a single cookie made with love and care to a person in need is priceless. Because of this, these treats are much more than cookies. When family, friends, neighbors, and school function attendees got a taste, word spread and a business was born. The years of perfecting the cookies in the kitchen, including hundreds of attempts at combining ingredients, and a passion to connect people through these amazing baked goods paid off and the cookies are now enjoyed by families, friends and even corporate America across the U.S., and especially among the businesses of Las Vegas. CurlyTop Baker's menu of cookies is amazing, creative, and fun. 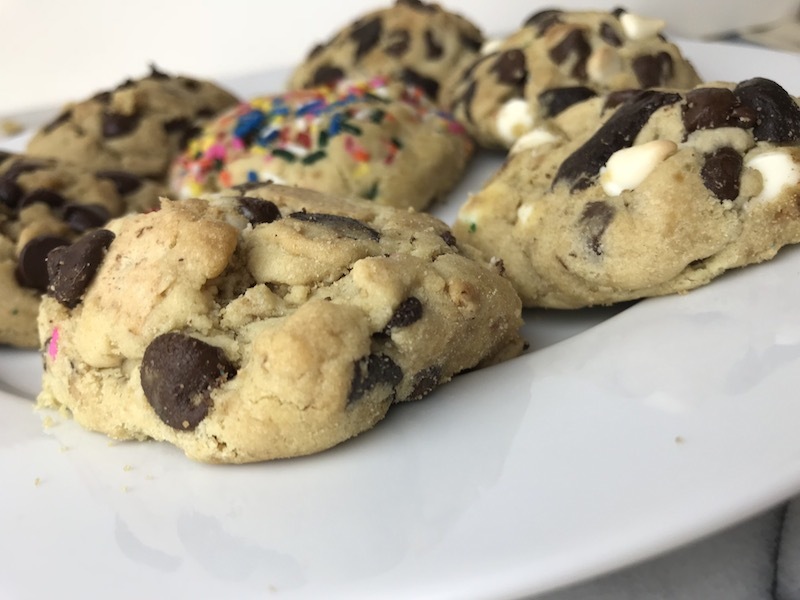 Their first cookie was the Chocolate Chunk Original but their Cookie Menu now includes Mega-Chip cookies for lovers of as many semi-sweet chocolate and white chocolate chips packed into a cookie as possible. Of course, a Birthday Cake cookie goes without question. But have you tried a CurlyTop Campfire cookie or the Raspberry B & W cookie. They also have an Espresso Coffee Bean cookie for those who want a bit of caffeine to keep them going in the afternoon. And for bacon lovers, there is the savory and sweet Bacon Chocolate Chunk cookie. 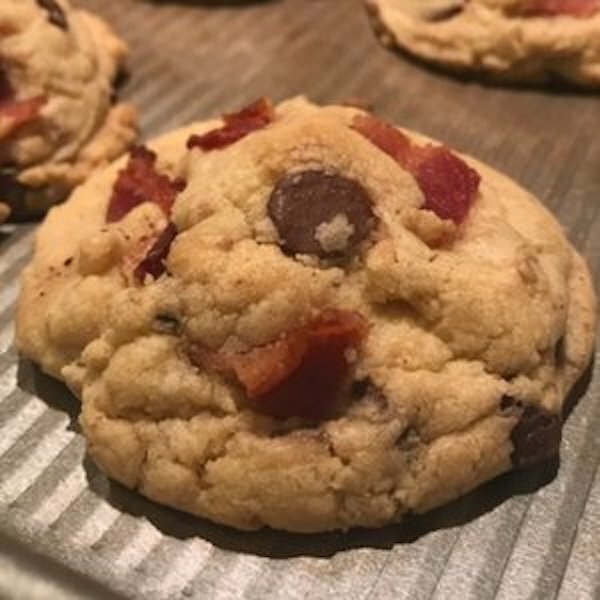 Bacon Chocolate Chunk Cookies by CurlyTop Baker in Las Vegas. Lastly, if you're on a plant-based diet, don't worry. They have recently launched their Vegan Chocolate Chip cookie and it tastes amazing. Vegan cookies don't contain animal-based ingredients so you can enjoy them without butter or dairy. Now CurlyTop Baker cookies are just a tap away. You can order each cookie flavor by the dozen and have it shipped to your home in just a tap in the Treatmo app. They'll be glad you ordered. You can also treat your friends through Treatmo by sending the cookies for special occasions or just to brighten someone's day. You can download Treatmo for free on iTunes here. White Chunk Mac with White Chocolate Chips and Hawaiian Macadamia Nuts by CurlyTop Baker. Download Treatmo to shop CurlyTop Baker gourmet cookies.